Winter attire can be tricky. Most ladies want to stay fashionable even in this cold season. 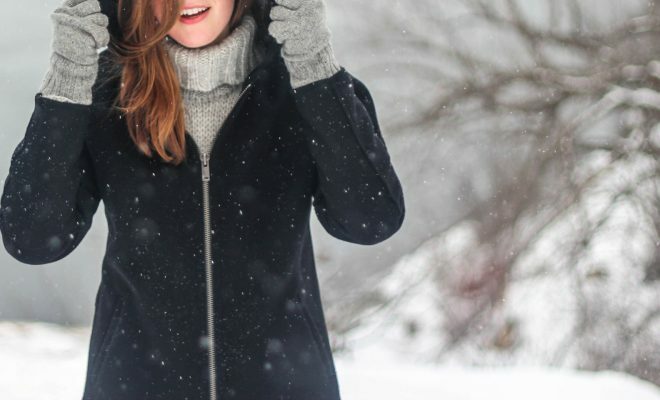 At the very least, you will want to look presentable while wearing enough layers to keep warm. We understand your concerns, so we have come up with some fashion ideas you can use below. There is no better season than winter to be showing off those knee-high suede boots that you bought last summer. Boots go very well with skinny jeans, and even better with plain coloured shirts to match on top. Perfect for the office or that more formal occasion. Sneakers can pair well with a winter outfit too, but since you can wear during other seasons, so make winter a little more special with a pair of boots that have been pushed to the back of the wardrobe during the summer months and give them airing during the cold weather. When you head out for breakfast or a casual outing in the day, you can look trendy and fresh with this attire. Ankle boots work well too! Try to opt for neutral colours for your boots so that you can bring out the colour contrast in your winter outfit. Cardigans and sweaters are must-haves for cold seasons. Instead of wearing your usual worn out sweaters when you want to look good in a proper dress, why not look for a mix of both elements – a sweater dress? Even the name of this outfit sounds comfortable! If you start looking for sweater dresses, try to get one that has a turtleneck with it so that you can stay warm and look trendy all day long. Pair this with a belt, and you have yourself fashionable winter attire. Not a fan of dresses? That’s alright too. You can wear a comfortable pair of high waisted skinny jeans and wear an oversized sweater on the top. Sounds like a right outfit for a stay-in evening, doesn’t it? Trust us when we say that oversized is normal-sized when winter arrives. Try pairing your oversized cashmere sweater with a pair of skinny jeans and watch the fashion magic happen! This outfit is finished well with a small handbag. Don’t want to give up your current wardrobe choices because you have a stunning collection? You won’t have to! Well, not if you have a matching cardigan to wear over your attire, at least. You can choose any outfit that you want to go out for an outing with and top it off with a suitable cardigan. Remember to colour-match your cardigan with the rest of your attire before you head out to avoid looking like a fashion disaster! When it comes to nightwear, you are going to want silk or satin materials. Try silk pants if you have not already done so! If you’re going to keep warm in the winter, you can opt for black or other darker colours for the fabric to retain warmth better. Silk fabric is soft and gentle against your skin. It also makes a woman look very feminine and elegant. Usually, silk pants come with its lacy adornments at the hem to make the entire outfit appear more lady-like. Match it with a night robe and you’re all set to be glamourous of a night time!